A lot of homeowners only think about our plumbing and pipes when something has gone terribly wrong with them. Summertime, however is the perfect time to take a closer look at your plumbing and perform some routine plumbing maintenance to keep it in good working order while the weather is warmer and your plumbing use differentiates from use in the fall and winter. When was the last time you pulled out your washing machine and took a good look at your hoses? While washing machine hoses are usually an “out of sight, out of mind” plumbing maintenance issue, they can be potentially devastating should they burst or leak. We recommend replacing your washing machine hoses every five years (maximum) using braided stainless steel hoses rather than rubber hoses (which are more vulnerable to leaking, cracking or bursting). A fun way to make some noise and sharpen the blades in your kitchen sink’s garbage disposal is to throw a few ice cubes down the disposal and let the blades go to work. If you think their may be a gloppy backup in the drain, use a combination of ice with rock salt or simple household vinegar and let cold water run in the drain for five to ten seconds. Your dishwasher shouldn’t be forgotten either: check the connections and make sure they are all tightened and leak free. The last thing you want interrupting your summer is a flooded kitchen! Paying to heat water you’re not using by leaving your water heater on if you leave town doesn’t make good sense. Save energy and cost by turning your water heater down when you go away for more than a day. Also, take a good look at the edges around your water heater: if you inherited an existing water heater with the purchase of your home, learn how to read the label on your water heater to determine it’s age and whether or not you should consider replacing it. 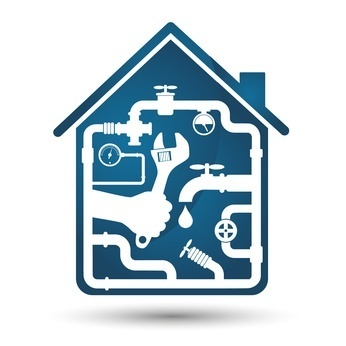 A little bit of summertime preventative plumbing maintenance goes a long way to keep you stress-free all year round. For these and other helpful plumbing maintenance tips, contact Kost Plumbing today!